Signees of the missive include: Texas Republican Rep. Lamar Smith, who is also chair of the Media Fairness Caucus; Young America’s Foundation President Ron Robinson; retired Army Lt. Col. and former Republican Rep. Allen West; Heartland Institute President and former House Rep. Tim Huelskamp; Penny Young Nance of Concerned Women for America; and several past higher-ups in former President Ronald Reagan’s administration. First, social media companies should “provide transparency,” it argues. Second, relevant firms should “provide clarity on ‘Hate Speech,’” the conservative factions wrote, arguing such an ill-defined term, and enforcement of such, is liable to subjectivity and thus is often unequally applied. Republican Sen. Ted Cruz in particular took some serious shots at Facebook, rattling off a number of apparent examples. One of the referenced instances, the allegations surrounding Trump-supporting Diamond and Silk, even sparked a follow-up hearing—specifically about potential political bias at social media firms. But while that hearing did address a few important points, like a private company’s legal liability in this respect, it was an overall mess, veering off course of its original goal. Diamond and Silk may even have committed perjury in the process—although the enforcement of that possible violation is dubious. 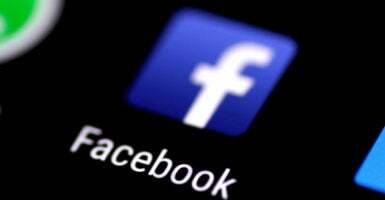 Facebook prematurely launched a new feature Tuesday that aims to combat hate speech. The rollout was due to a bug, a spokeswoman at the company told The Daily Caller News Foundation. Yet it showed an increased appetite, perhaps due to intensified public pressure, to do something about vitriolic and potentially racist content found on the platform. But as evident from the statement, there is also an insistence to stop moderating content as much as it has been because large portions of the public—mainly conservatives and libertarians—feel as if they are being unfairly singled out.